message - line 2 e.g. "1st july 2017"
message - line 3 e.g. 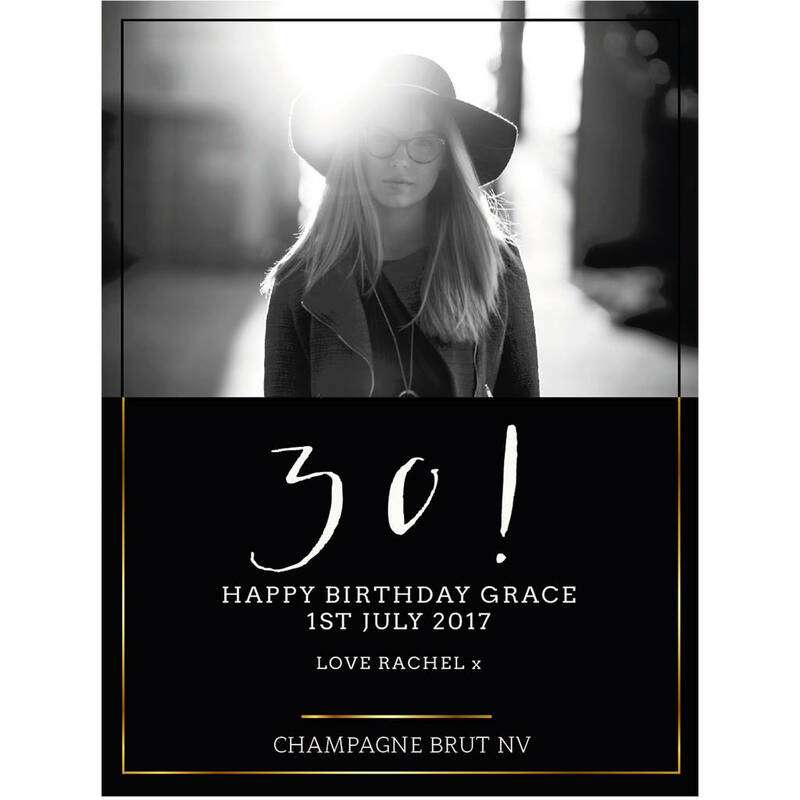 "love rachel x"
A luxury Champagne gift with a modern photo wine label to personalise with your image and message to create a unique birthday present. A premium Champagne or Rose Champagne perfect to personalise with your message. 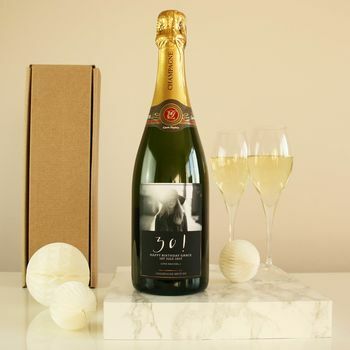 These excellent personalised Champagne gifts are a fantastically unique idea for special birthday, be it a 40th birthday present or any other age as you can personalise the number too. Ideal for a 21st, 30th, 40th, 50th, 60th, 70th or whatever age you are buying for! 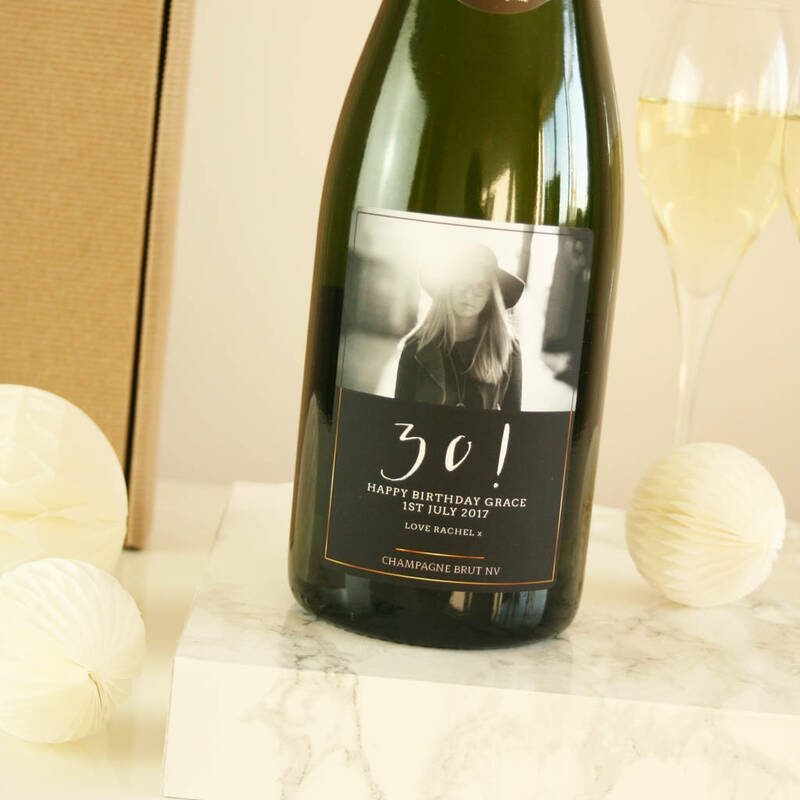 Personalise your wine label design with an age and three lines of message. You need to send your photo after placing your order. Whilst still logged into your NotOnTheHighStreeet account, go to the "My Orders" section and click the "Order Enquiry" button on the relevant order. Here you have an option to upload and attach a portrait format jpg file which will be sent direct to us. You can also add a message here - if you would like us to convert your image to black and white please request it here. 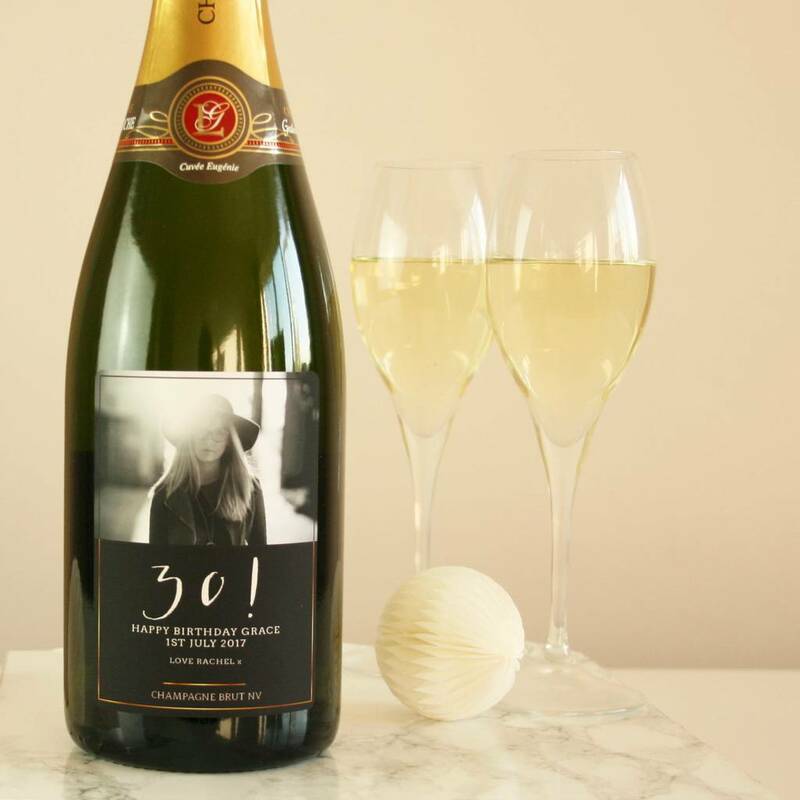 Champage Brut NV, France: fresh, appley and well balanced with brioche notes. (12.5%). Champagne Brut Rosé NV, France: romance in a bottle - with red berry and biscuity aromas. Decadent and delicious. (12%). Champagne Brut NV is made from Chardonnay, Pinot Noir, Pinot Meunier grapes. Suitable for vegetarians and vegans. This product contains sulphites. Champagne Brut Rosé NV is made from Chardonnay, Pinot Noir, Pinot Meunier grapes. This product contains sulphites. Gift packaging is included free of charge: our personalised wines are beautifully presented - tissue wrapped and gift boxed with a tasting note card.